Talking about my route planning and the tools that I’m using. What is better, Viewranger or OS Maps? I don’t mention the OS Maps app because it requires the subscription to be available offline. You only get the standard map with the ‘free’ version. If you buy their maps you should be able to download that part that you’ve bought (I have not tested this) so I it could be an alternative to the Viewranger app. I feel that the OS Maps app is better at some things but more clunky to use. I also haven’t field tested is like I have with Viewranger hence I can’t make any recommendations based on experience. Attended an event this evening with Renata Chlumska the great Swedish adventurer which has climbed Mount Everest, paddled around the US and also climbed the Seven Summits. The topic of the lecture was ‘Find the motivation’ (Freely translated). She talked about all of her great adventures and how the mind is your greatest part of your body. It’s not how well trained you are or how fast you can paddle but how motivated you are to completing the task at hand. Really great, I’d recommend anyone who gets the chance to listen in. It was super inspiring! Stoked! A great way to start the main hiking season. One of her key points were basically, just make sure you do it. Many adventures have just been made on a piece of paper and never gotten any further. If you go, and you succeed or fail, it doesn’t matter. If you succeed, good for you but if you fail you gain more experience to redo it and finally succeed. This does not go just for backpacking or adventures in general but with your everyday work goals too. Put your mind in the right place and you’re half way there. For those of you who are not photographers per say these small tips and tricks might come in handy to improve you’re (outdoor) pictures. Simple things that makes every picture a little better. The application period starts on March 16th at Fjällrävens website. Trail snacks – What do you eat? Trail snacks are an important part of your adventure to work as an energy booster between meals. Some prefer to only use snacks during the day and just have a full, preferably, hot meal at the start and end of the day. Personally I like to have three hot meals a day to keep the morale up on though, rainy or cold days. As my previous post pointed out my summer trip is getting closer and closer by the minute and I’m right now on the food section of my list. I’ve experimented with different snacks over the years, everything from the standard nut and raisin mixes to Snickers. A few different snack options. 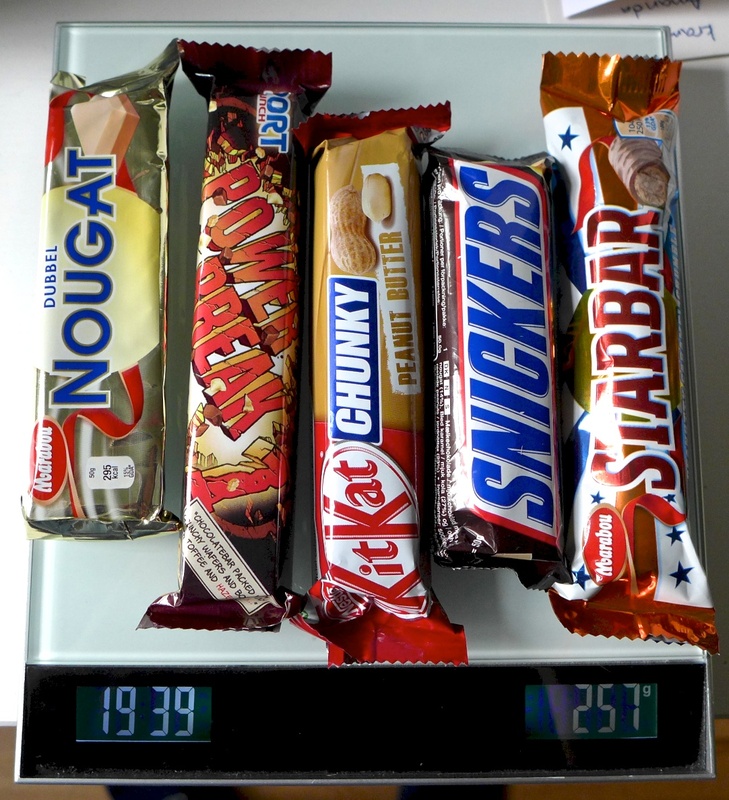 Recently I’ve bought different chocolate based products to compare how they work in cold/warm environments and also to compare how much energy they pack compared to weight. All the bars above weigh in at about 50g. I haven’t tried them all out in the field but the Starbar works quite well in cold and warm condition and so does the Sport Lunch bars. As you can see the Double Nougat wins but it’s a fairly even list. It would be nice to get some feedback on what the rest of you are using on the trail! 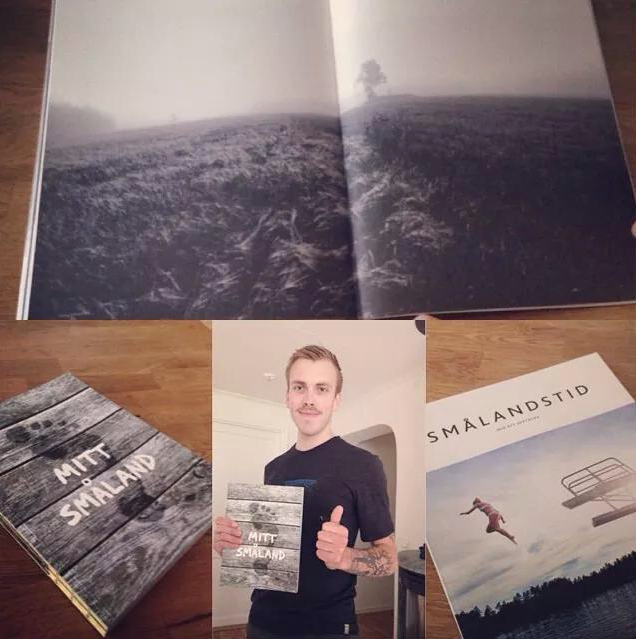 Got the word in the middle of May that I’m getting published in a photo book called “Mitt Småland”. I sent one of my pictures in into the competition and I had almost forgotten about it when I received the e-mail saying that the book was now being printed and that my picture was in it. Well that was great news! I didn’t know how big my picture was going to be in the book or where it was. I found out that my picture was one of few out of 1681 that had made it out of the selection process, 176 pictures was published in the book. My better half made this photo collage. This book is part of a big advertising campaign to get more people to visit Småland (the county where I live) and it will be sold at different places all around Sweden.